Anti-Semitic Nation of Islam leader's account decertified by Twitter after he posted rant against 'Satanic Jews'. The social media network Twitter apparently punished Nation of Islam leader Louis Farrakhan, after Farrakhan’s official account posted an anti-Semitic rant decrying “Satanic Jews” and the “Synagogue of Satan”. Taken from a recent sermon in Chicago, the 89-second clip uploaded to the official “Minister Farrakhan” account focused on the Nation of Islam leader’s claims that Jews were part of the “Synagogue of Satan” and in open rebellion against God. “I wonder: will you recognize Satan? Will you the Satanic Jew and the Synagogue of Satan,” said Farrakhan. In the text of the tweet was written “Thoroughly and completely unmasking the Satanic Jew and the Synagogue of Satan. The account, which had been verified as Farrakhan’s own by Twitter – as indicated by a blue check marking its authenticity – was downgraded Friday, losing its status as a verified official account. Because of the plethora of copycat accounts for celebrities and major organizations verified status is important to maintaining traffic to Twitter accounts. In the past, the company has stripped white nationalists and other controversial figures’ accounts of their verified status. 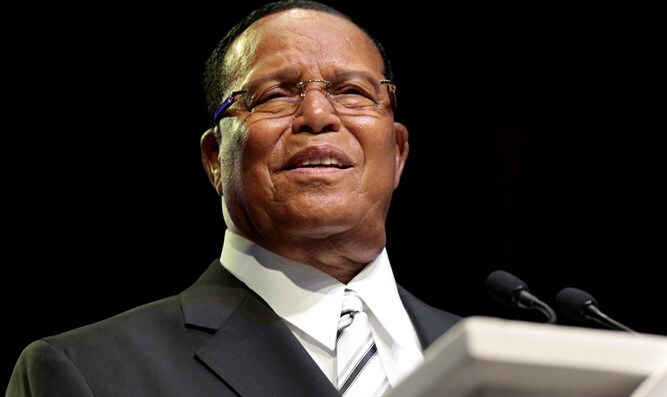 Twitter ignored calls to de-verify Farrakhan’s account in the past over other offensive statements, but apparently punished the Nation of Islam leader last Friday following his latest online rant. The Daily Caller attempted to reach out to Twitter to confirm that the change in the status of Farrakhan’s account was indeed intended as a punitive measure for his recent comments, but a company spokesperson said Twitter’s policy prohibited officials from commenting on individual accounts. Farrakhan was censured by the US Senate in 1984 for anti-Semitic comments during a sermon in Chicago in which he called Judaism “a gutter religion” and compared himself favorably to Adolf Hitler. In the intervening years, Farrakhan has drawn criticism for other anti-Semitic, racist, and homophobic remarks.